Back in January Cryptic remastered the Stranded in Space mission, which is the first mission new players do once they get out of the tutorial. Gozer went back to one of the first missions the team made for the game and updated it using all of the new tools that they’d developed since it was initially created. The result was very impressive. Ever since, players have been looking forward to more remastered episodes and Cryptic released two more last Friday: Diplomatic Orders and Doomsday Device. The new missions are just as impressive as what was done to the Azura rescue mission. I ran through all three over the weekend. The Azura replay was offering a personal communications code that allows a player to summon the S.S. Azura II which provides mail and bank access from wherever you happen to be. That was really the only reason I ran through it again, since I’ve already played the remastered mission a few times. Diplomatic Orders offers a cool data recorder to replay all of Spock’s Sector Block introductions, but I would’ve played it regardless to see how the mission had been updated. 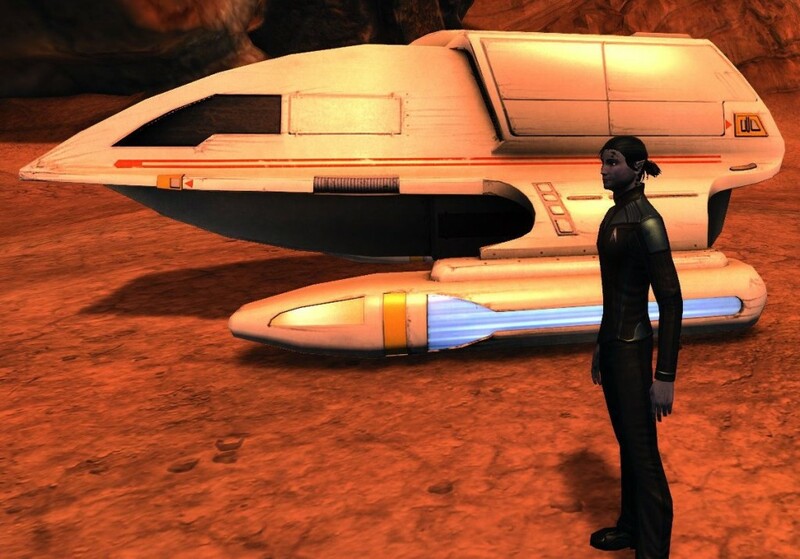 Ambassador Sokketh is no longer haunting Earth Spacedock but is now on Vulcan. 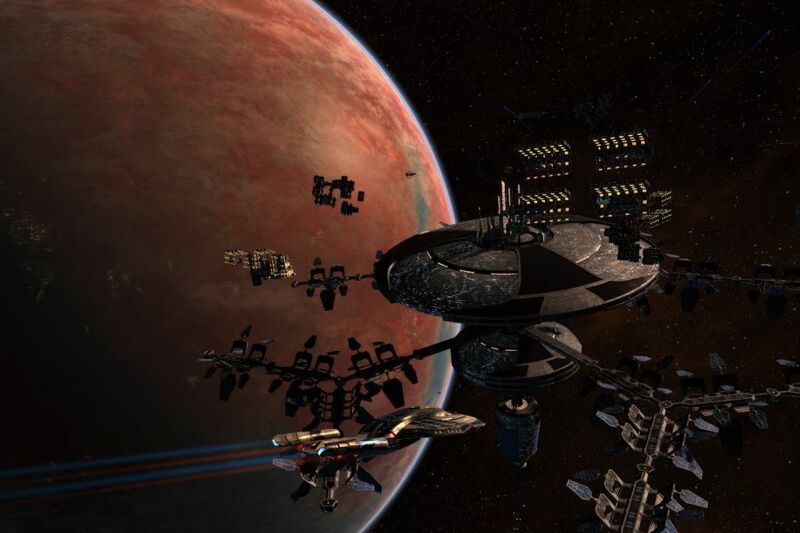 Vulcan itself has seen some investment by Starfleet and now has a station in orbit. Sokketh now has an issue with transporter technology, so there’s a fun section where you fly down to the surface in a shuttle. The Shuttle interior is very well done, as is the flight over the Vulcan temple complex. I do have a complaint about mixing franchises though since Starfleet has somehow managed to incorporate Tardis technology into their shuttlecraft. 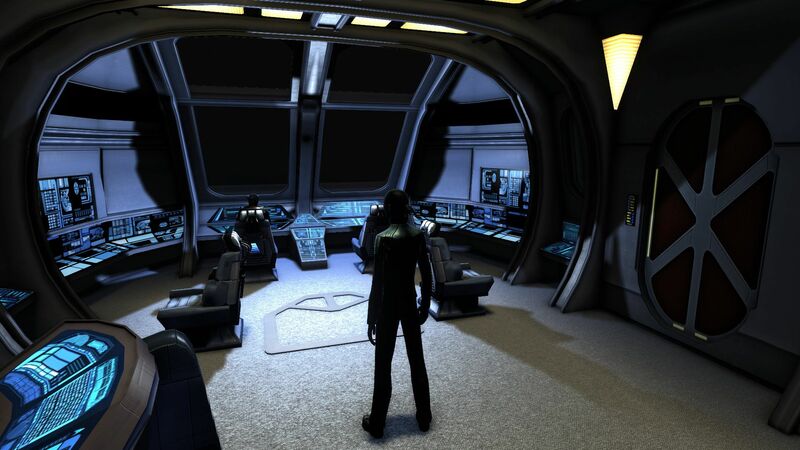 Once Sokketh is aboard, the rest of the mission plays out mostly the same only with some tweaks to the dialog and a cinematic when the Ambassador’s true identity is revealed. Doomsday Device was my favorite of the three episodes. The story is substantially changed from the original, and it really reminds me of a DS9-style episode. You start out by disabling the I.K.S. Targ and then boarding and securing the ship. I really enjoyed not actually having to blow the ship up, and I’d love to see more of that done in future missions/remasters. MMO Gamerchick didn’t enjoy securing the Targ as much as I did since you beam over without your usual Away Team, but I actually preferred it that way. 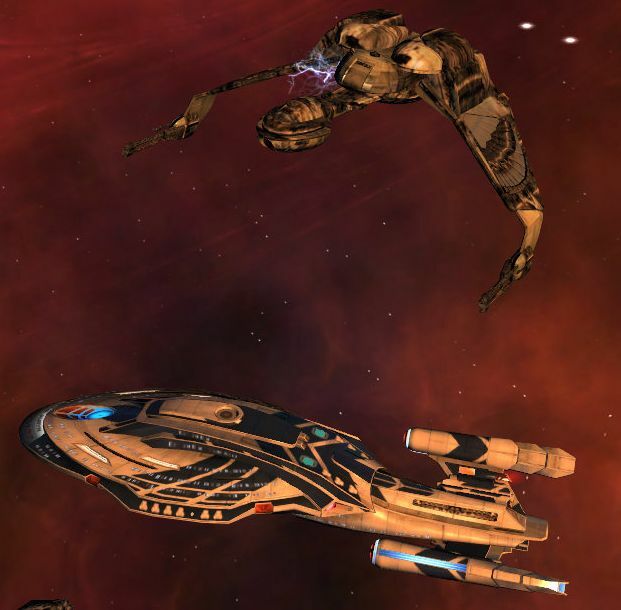 When you materialize on the Targ there is already a firefight taking place between your crew and the Targ’s crew, so I felt like a Captain beaming in to personally monitor an existing situation. If I’d come in with my regular team, it would’ve been okay but this way made if feel like more of a major operation since my full crew was involved (ignoring of course that they didn’t have names and their uniforms were different). 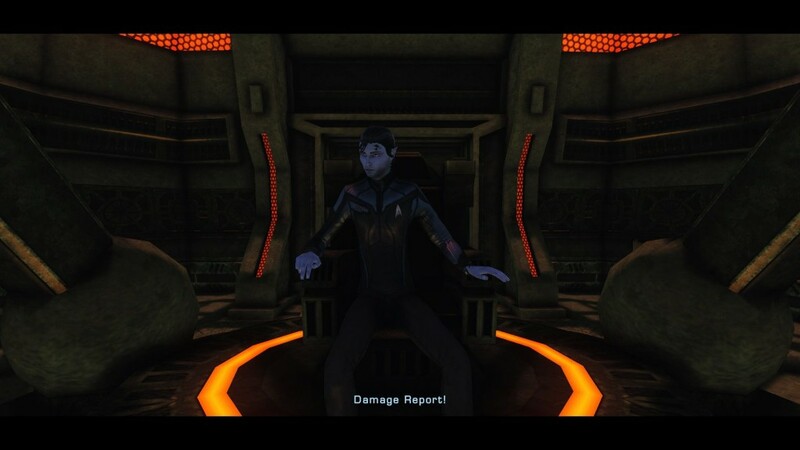 There’s some interesting gameplay and story in securing the ship and making repairs, not to mention getting a holoemitter disguise to make my character look like a Klingon. I really liked that I had a diplomatic choice once I beamed down to the planet and could avoid combat for the most part. The final fight had some great story as well as some great new tech in it. The tech part is integrating character scenes into the same maps as ship scenes. This doesn’t sound like much, but it allow for some really cool story telling. Being in a space map and watching the Doomsday Device fire on a moon and then cutting to the bridge of the Targ was very seemless and as close to watching a television episode as they’ve come yet. It’s not perfect yet. Throughout the mission, you’re talking with Lt. VanZyl whose supposed to be a member of your crew. But her uniform is off and usually in a mission you interact with your bridge officers. Still, she’s voiced well in the cinematic scene so it’s well worth it. If you haven’t checked out the remastered episodes, I highly recommend them, especially if you’ve been through the Featured Episode series and are looking for more of the same quality-level. Absolutely! Actually I think I can send fleet invites out while the person is offline so I’ll try and remember to invite you next time I’m on. If that doesn’t work just ping me in Steam and I can hop into the game.